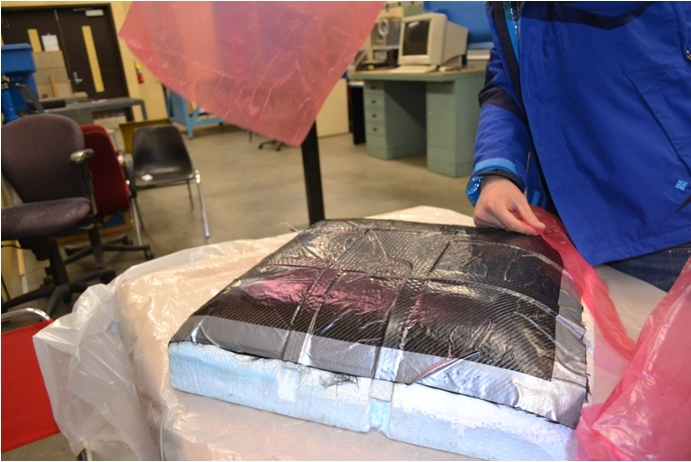 Our practice run for how we will fabricate the monocoque body using a foam plug. 1. 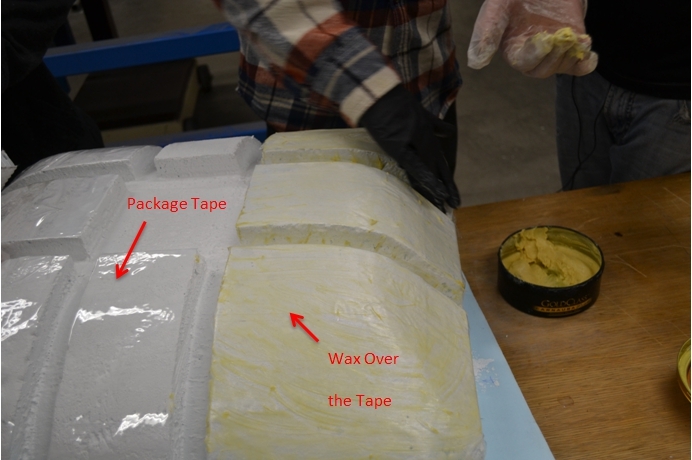 Applying the latex primer to the foam plug. 3. 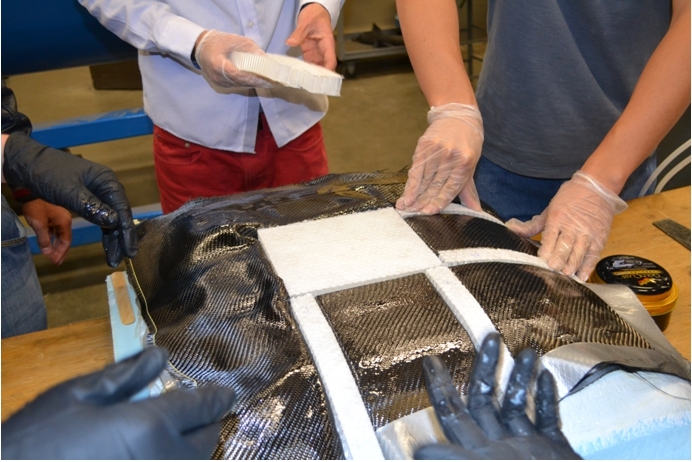 In laying the honeycomb core between the carbon fiber layers.